Does a tree make a sound if no-one is there to hear it? Some scientists believe that trees can communicate with each other and that the internal sounds that trees make could soon be used to detect early signs of distress in living trees. The children of Arnside National School CofE School and TV and Radio Producer Karen Pringle have used contact microphones, amplifiers and special filters to try and record the hidden sound of trees and a woodland environment. 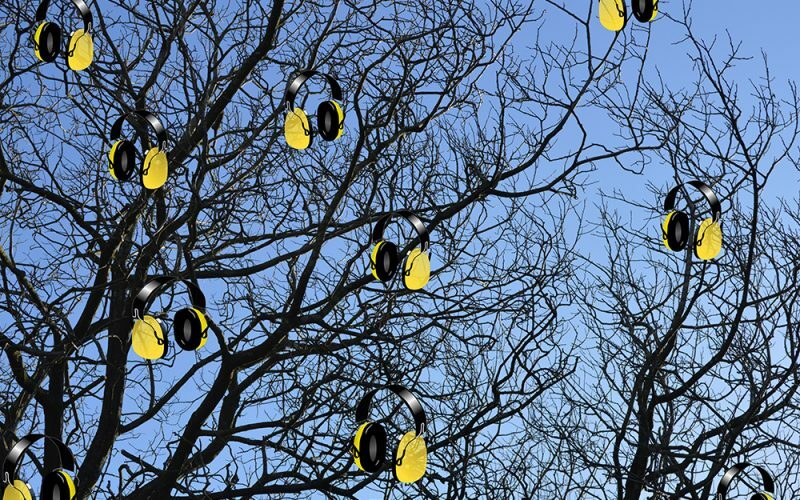 Visit their audio installation at The Little Listening Tree in Ashmeadow to listen to their compositions and to discover the secret sounds of trees.